At the Onstage events swaps are encouraged - it is a great way to meet people and get some fantastic swaps in return full of ideas and inspiration. Basically we all wander around the room and exchange cards/projects. These are the swaps I took with me to Melbourne. 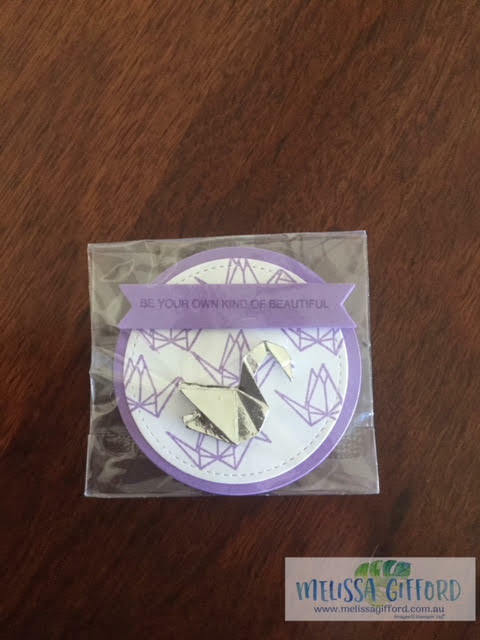 I found these cute origami pins on ebay and knew they would go with the Artfully Folded stamp set. Each year we wear lanyards and I seem to have amassed a collected of badges so now I pin them on my own lanyard. 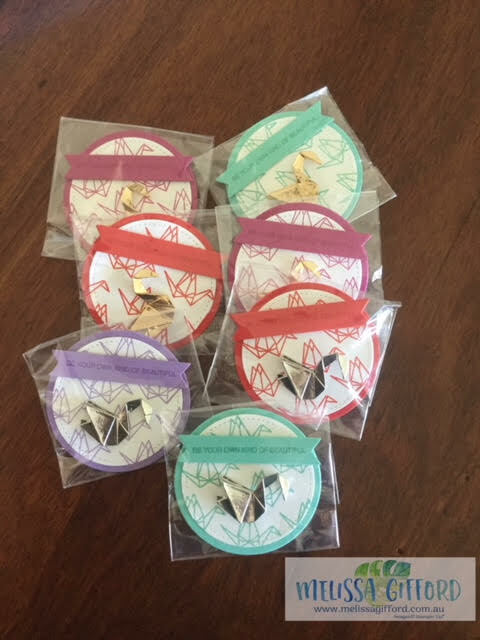 I had a mix of gold and silver pins and couldn't decide on a colour scheme so i went with a few of my favourites - Coastal Cabana, Poppy Parade, Melon Mambo and Highland Heather. Using the layering circle framelits made assembly of 65 of these quick and easy. And I just love the sentiment - be your own kind of beautiful. Here's a close up view of one. Next time I will show you the amazing swaps I received in return!